We hire youth (ages 15 to 19) and train them as Teen Educators. As Teen Educators, they lead PATCH workshops and share their authentic youth experiences, concerns and preferences. We believe THEY are best equipped to provide this insight. ► Download our brochure for more information. To schedule a workshop, click here to complete our registration form and we will get in touch with you shortly. As a Teen Educator, you will work with other teens and adults to improve your community. Are available for the mandatory training dates: October 20, 21, 27, 28, and Nov 3 from 11:00 AM – 4:00 PM. What will I gain from PATCH for HOPE Buffalo?  You will automatically be a part of HOPE Buffalo: The Pledge for Healthy Teens and you will gain valuable leadership and advocacy experience, become more familiar with important health topics that impact teens, develop communication and presentation skills, and so much more. Being a PATCH for HOPE Buffalo Teen Educator is an impressive accomplishment to include on college applications and job résumés. You will also be compensated for your time. You will receive $100 in VISA gift cards upon completion of the required five-day training, and a $25 VISA gift card for attending enrichment meetings and facilitating workshops. Your work hours vary, depending on how many healthcare providers and/or teen workshops you will be facilitating (approximately 2 to 10 hours each month). HOPE Buffalo is the community-wide pledge for teen health—a youth and community-led collaborative of diverse stakeholders, teens and adults, working together to promote equitable access to high-quality and comprehensive sexuality education and reproductive health services. PATCH stands for Providers and Teens Communicating for Health. We believe that for YOU (and other teens) to be your healthiest, you should be able to have open and honest conversations with a trusted healthcare provider. But for many, this often isn’t the case. That’s why PATCH for HOPE Buffalo exists! We want to make sure that ALL youth are able to get the healthcare they need and deserve. What are you/your peer’s concerns about healthcare? What are things that make you like or dislike a healthcare provider? How much do you or your friends know about your healthcare rights as a teen? To re-apply for a position as a PATCH for HOPE Buffalo Teen Educator, this application must be completely filled out and submitted by September 14. You will receive a confirmation email once your form has been successfully submitted.